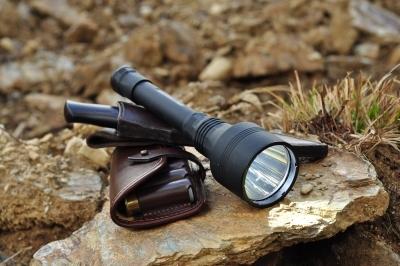 How to choose a high power search & rescue flashlight. Today high power LED flashlights spark great interest and there are some reasons for their popularity. They are extremely bright, impressively far-throwing and unimaginably reliable. The distinguishing feature of most powerful LED flashlights is their beam with enough throw to illuminate targets hundreds of meters away and enough beam width to make it perfect for patrol, checkpoints and search-and- rescue operations. 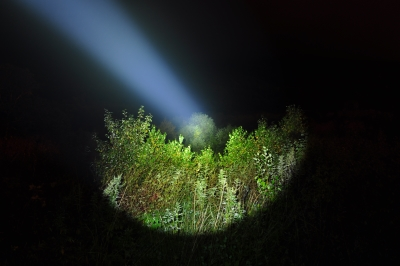 A search flashlight is a perfect light source for illumination of large territories, massive objects and hard-to-see places. High light brightness. It normally starts from 1000 lm. This parameter should demonstrate high values. Such brightness is essential for illumination in open areas or in the forest. First-rate beam distance. It usually starts from 500 meters. Only such an indicator can guarantee illumination at long distances. Wide light beam. It’s necessary to assure a huge area illumination not only ahead of you but also from the sides. High-end power supply. Ultra-bright LEDs and record runtimes need high capacity power supply, which is achieved by several Li-Ion batteries or battery pack. Number of brightness modes. Powerful flashlight should be equipped with several brightness modes for enhanced operability. Maximal mode is a perfect option for work on all types of terrains, medium modes suit for indoor areas and minimal modes are ideal for emergency lighting and saving of battery voltage for long hours. Possibility to charge a search and rescue flashlight from the circuit or in the car. It’s an utterly important function for lasting field operations. It’s better when powerful flashlights are supplied with indicator of battery voltage. Thanks to it you can control a current level of battery voltage. Advanced impact- and water-resistance. Given the conditions, high-power LED flashlights are made of the most durable and impact-resistant materials and their body is totally protected from water penetration. Efficient heat dissipation. Most powerful LED flashlights get rather hot during prolonged use. Therefore good heat dissipation is an obligatory condition of their safe application. Search flashlights have special ribs that improve heat transfer and assure better air circulation. When choosing a search flashlight, pay your attention to such key factors as light weight and compact size. 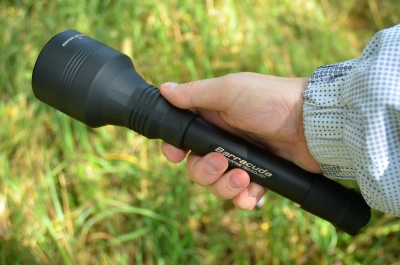 These characteristics largely determine your comfort and versatility of the flashlight. We hope all these advice will help you to enjoy marvelous opportunities of a really powerful LED flashlight, which is created to give you a clear advantage in areas of poor light or limited visibility. 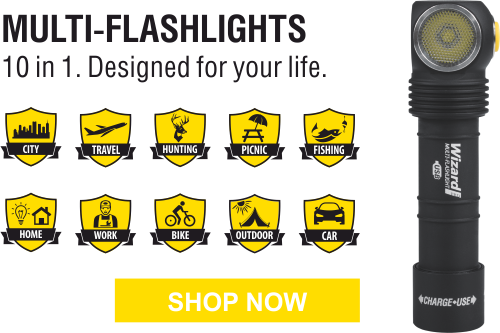 Why is Armytek Barracuda one of the most powerful flashlights? Armytek Barracuda is the best elaboration for search and rescue flashlight. You may ask why? Firstly, it responds to all criteria stated above. Secondly, it meets the users’ different requirements of high brightness and long runtime. Thirdly, it’s suitable for illumination of areas of different sizes and scene investigation. Extreme beam distance 700 m.
Wide and far-throwing beam for covering huge areas. 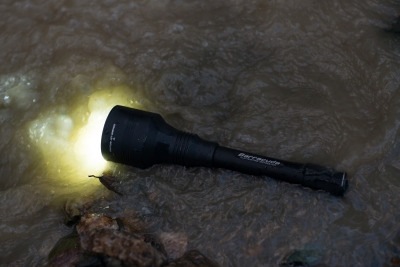 The brightest flashlight for Search and Rescue Operations. Improbable light output 1390 lm. Comfortable operation by a tactical tailcap switch. Developed for high light requirement situations. It’s obvious, having more light output at your disposal in high-stress situations will provide you with more confidence and options!